Hello Horse Camp is a horse camp for children ages 6-11 who want to gain more experience and confidence around horses. 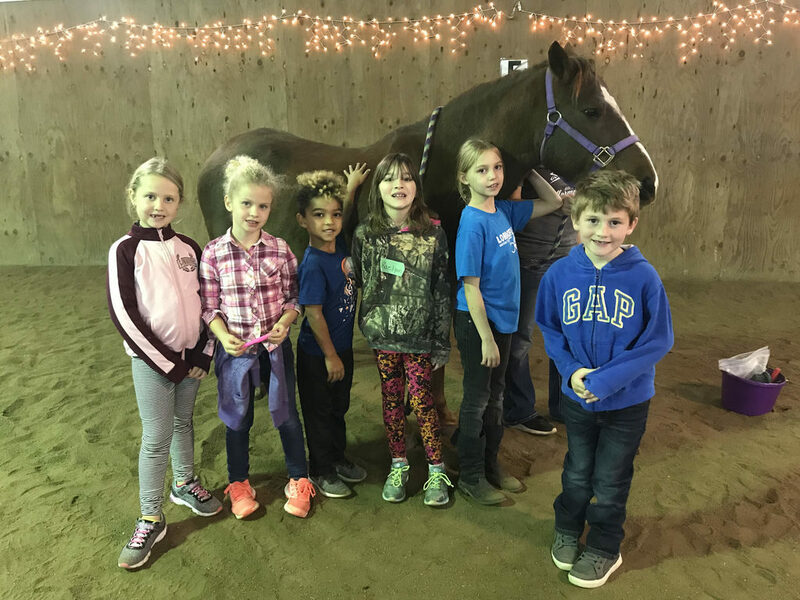 Campers get to learn about herd life and tack, practice horsemanship skills, meet some new friends, make some horsey crafts, and of course ride horses! Helmets and horses provided. No prior horse experience required. This program is located at our private indoor/outdoor riding arena near Bismarck. No previous horse experience required. Helmets and horses provided. Camp runs from 8:30am to 4:00 pm. Daily morning and afternoon snack is included. Kids bring their own lunch. All campers receive a complimentary Harmony Stables t-shirt and memories to last a lifetime!